What goes up must come down - and that's true for goats as well. But sometimes it's easier said than done. That was the case for one such animal in the countryside of Greece. 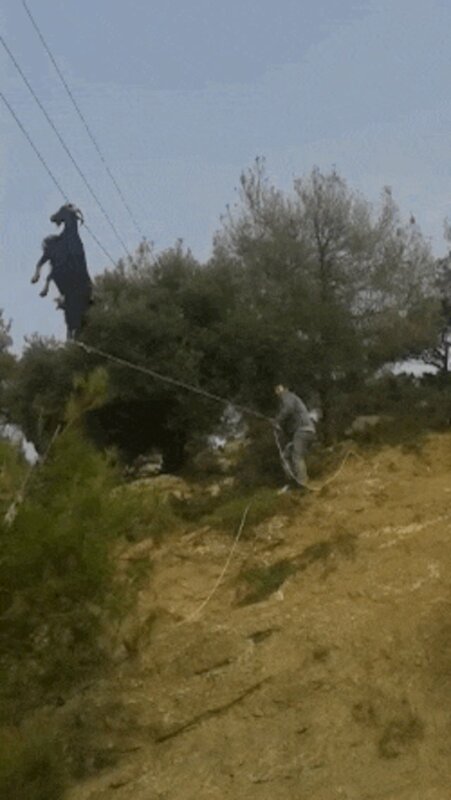 Having somehow managed to hook his horns around a utility wire, the goat soon found himself dangling high overhead with no way of escaping. It is believed he'd been grazing along an adjacent slope, where the wire is nearer the ground, when he got stuck and "zip-lined" further out. 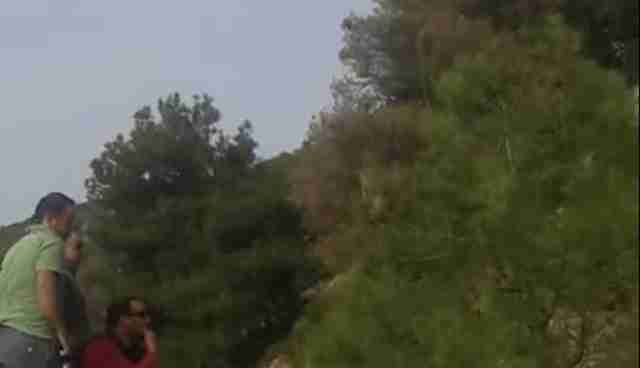 Fortunately, a group of kindhearted rescuers was alerted to the animal's plight and set about trying to save him. But doing so presented some obvious challenges. 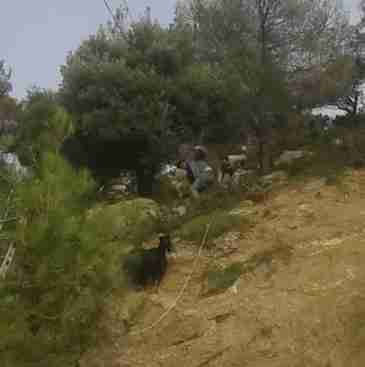 With no way of reaching the goat directly, the group at first used a long ladder to carefully nudge him toward to the top of the slope. He was so high up, even then they had to stand on a van parked below just to reach him. 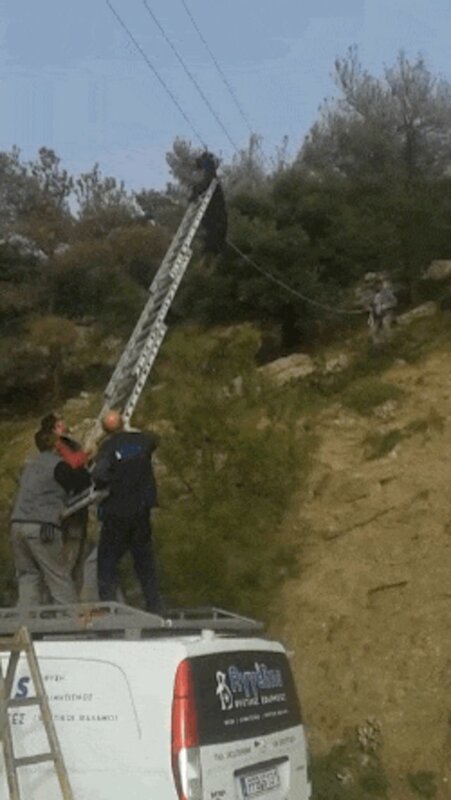 Once the goat was a little closer, the rescuers were able to reach up and loop a rope around his leg. With that, they could now pull him into grabbing distance and unhook him from the wire. Their efforts paid off. The goat was finally free. But if he was traumatized by that harrowing ordeal, the goat certainly didn't show it. Moments after being rescued, it was back to business as usual. The goat didn't stick around for long. He was last seen trotting away, perhaps to rejoin his herd. 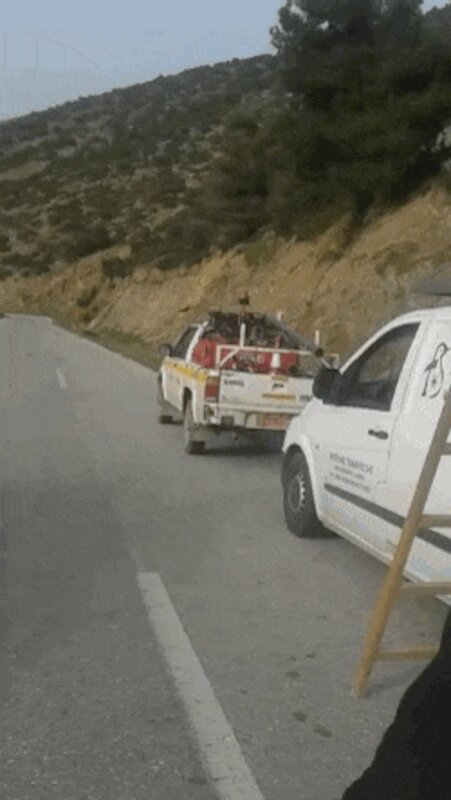 Despite the goat's apparent lack of gratitude for the grand gesture that likely saved his life, his rescuers didn't seem to mind one bit.